Implementing mobile learning can be overwhelming at first blush. There are many strategic decisions, guidelines, and requirements to consider before launching that next deliverable. You may even be struggling with the assessment of what content has the best chance of succeeding with your audience. How do you find that content that is going to resonate with your audience AND take advantage of the power of mobile? The answer may be right under your nose. How Do I Leverage My Existing Content? With a sound content strategy, much of your existing content can find a home on the mobile platform. As you evaluate these resources, keep in mind some very important criteria. Is The Content Even Appropriate For A Mobile Context? We are trying to integrate information seamlessly into the audience’s workflow. If we become more of a distraction than an aid to their daily responsibilities, we are breaking one of the basic tenements of mobile learning – content that is just in time, just enough and just for me. Something like HR compliance training is most likely better served in more formal training, like an eLearning module on a laptop or a tablet. But what about a resource like a safety checklist? 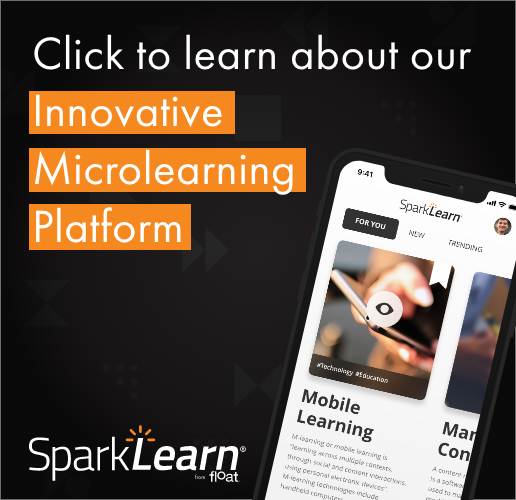 If your learners need to go through a repeatable process that can be smartly presented through mobile delivery, work on a design with your team that makes it easy for the employee and they can throw away the print checklist document on a clipboard. Why Can’t I Just Use A Quick-Fix Solution? Many of your rapid development tools are providing mobile options, but make sure you know what you are getting when you go that route. The output will most likely be HTML5 so your user will be accessing your training through a mobile Web browser. Will that be a positive user experience? Do you have the required security? What type of Web access does the average learner have in their workplace? Why Do I Need To Think About Presentation? Mobile learning should cause us to rethink how we can present content to our learners quicker, easier and more efficiently. Whatever the content you decide on delivering, you are going to have to rethink how it is presented. You want your learners to find the specific information they need at the time of need so your instructional design and your user interface design needs to make that a simple task. Is the content easily separated into smaller chunks? Can you employ a search function? Can you take advantage of the unique components of a mobile device like the geolocation to push information to the learner at the right time? New technologies are making mobile devices more aware of their surroundings. They are learning from their owner’s habits and choices to build user profiles. Start going through your existing training content and begin reevaluating it for mobile. You might be surprised on what a treasure trove of good mLearning you have in your content closet.